A new location and 100 slots to the Ironman World Championships ensured that Ironman Canada drew a solid field of over 2,100 athletes to its new location in Whistler. 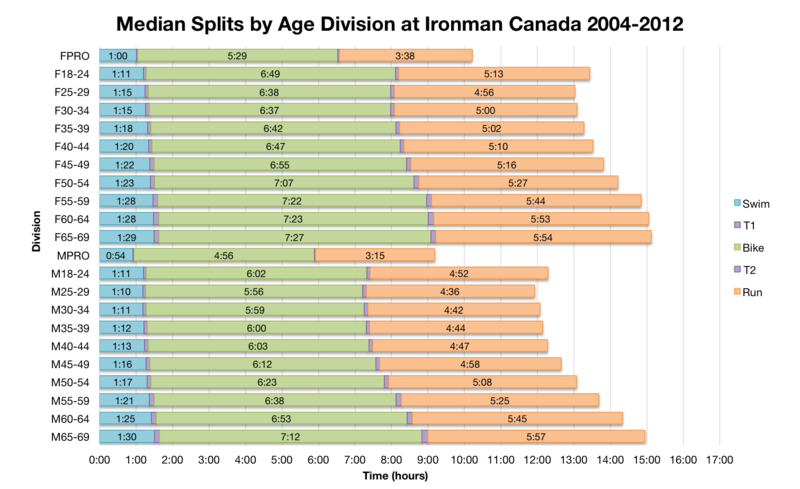 The new event appears to largely conform with other North American Ironman races showing a broadly similar spread of results. 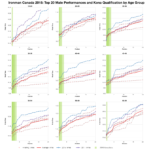 Competition for the high number of Kona slots available, the last for 2013, proved high, particularly in the men’s field. 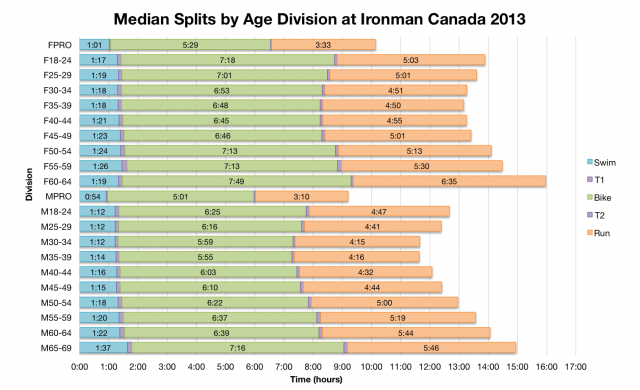 The distributions of finisher splits at Ironman Canada this year are unremarkable on their own – the pattern is not dissimilar to many other North American races. Placed besides the distributions from previous races, held in Penticton, there are many similarities between results at the two locations. 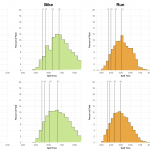 Differences are relatively small, although swim and bike appear slower while the run seems faster and the overall result has a slightly broader distribution than before. Large fields tend to fill out all areas of the finisher distribution leaving us to look for small shifts in weighting each year. With only one year of racing at Whistler it’s impossible to say if these results will prove typical of the course. Continuing the comparison of times from the Whistler course with Penticton the median splits by age division indicate the same pattern as the distributions. 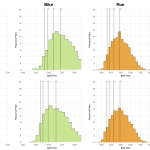 This year we see: a slightly slower swim (the differences are small and unlikely to be significant), a variable bike that leans towards slower times overall and a distinctly faster run. It happens that these balance out to give overall averages that aren’t hugely dissimilar to those seen in Penticton in the past. The Kona slots have already been distributed, but with Ironman offering no information as to how they were allocated and who got them I’ve had to estimate the numbers. For the purposes of looking at qualification this will do, actual numbers may vary. One hundred slots means there are a lot to go round, but the front of the pack seems to have stepped up and competition is steep particularly in the men’s field. The finish times are tight – for example in the 35-39 age group the difference between 3rd and 10th is a matter of minutes. The course is new so we can’t yet place the times themselves in context. 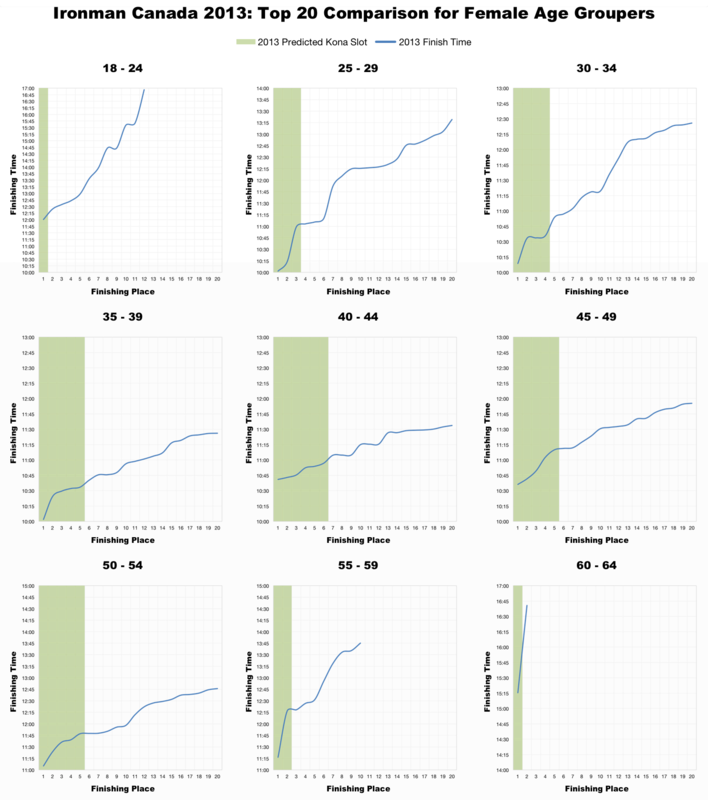 As is normally the case the spread of finish times is much wider in the women’s field, but in the 25 to 40 year age range we see a large step up to the top performers and some very fast times. Despite the greater number of slots on offer and the late timing in the season qualification was far from easy at Ironman Canada. Bearing in mind this was the first year for Ironman Canada in Whistler the numbers suggest the new location is largely on par with other North American races including its previous home of Penticton. Some elements of the course may be slower, but others appear to be faster balancing out the overall times. 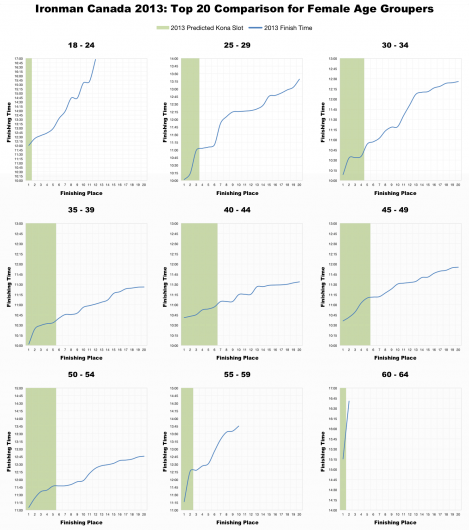 Tomorrow I’ll examine the results from the much smaller Challenge Penticton to compare. 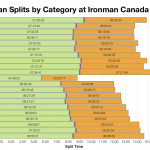 I’ve upload a spreadsheet of the full results and splits from Ironman Canada 2013 to my Google Drive.